Inspired by the Chinese settlers in Kolkata, chef Jolly introduces the Tangra food festival at the JW Kitchen, which will run until this Sunday. a�?The Chinese settlers in Kolkata started off with the tannery business, and then ventured into restaurants introducing their cuisine, with touches of Bengali flavours,a�? explains the chef. For starters, crispy babycorn and soft, pillowy paneer encased in a golden crumbly crust worked together beautifully. This was followed by golden fried prawns, that were large, meaty and cooked to perfection along with thread fish also complemented by deep-fried batter. 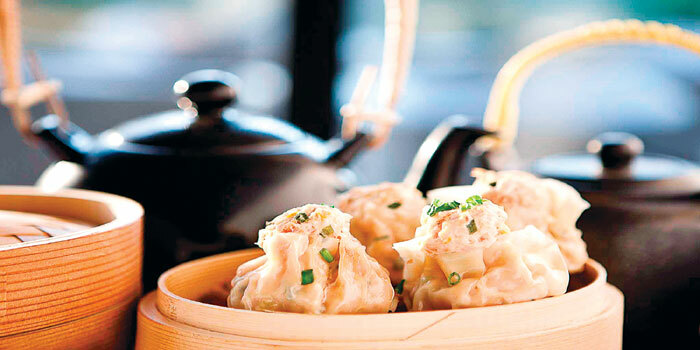 The pork sui mai cannot be missed. Little parcels of pork mince, in a 80:20 meat to fat ratio was the highlight of the decadent spread. The predictable noodles and fried rice in egg or vegetable choices were simple, clean flavours and well executed with no experimentation or fuss. The rice went great with the oyster sauce chicken which boasts some beautiful flavours and fresh ingredients. The noodles too packed quite a punch, especially when paired with the garlic fish a�� Kolkata bhetki served in a hot chilli sauce. Chilli pork, though dry was a great accompaniment for the rice and noodles. The slices of crispy pork sauteed in a sticky dark brown sauce, were well cooked, adding some texture to the plate. Vegetarians can choose from chili paneer, and an assortment of stir-fried red, green and yellow bell peppers, asparagus, carrots, mushroom, babycorn, onions and tofu. End your meal with a fragrant Chinese tea, to kickstart your digestion effectively.